The fundamental thesis of Ben Horowitz’s book The Hard Thing About Hard Things is that there is no formula for leadership, especially in difficult times, however those times are exactly when leaders can make the most impact. Horowitz opens by describing his time as a part of the core management team at Netscape, then his tenure as CEO of LoudCloud and OpsWare, finally providing insights from his current position as head of a venture capital company. Along the way, he highlights many of the key challenges he was faced with and describes the decisions he made to lead the companies through challenges. He spends time dissecting the situation and providing lessons learned. While the book is a fascinating read about the rise, struggles, and shifts in IT companies during the Tech Bubble burst, it is the decision making and the lessons about why the decisions were effective that make this a valuable read for leaders and those who aspire to leadership in their futures. "[The best thing about startups is] you only ever experience two emotions: euphoria and terror. And I find that lack of sleep enhances both." LoudCloud started at the peak of the Tech Bubble, and with their Netscape pedigree, money was being thrown at them from venture capitalists and banks. “What would you do if capital were free?” was the question their financiers were asking them. Six months later, while they had been growing team size with little product progress, the bubble burst and the next influx of money they would need could not be found anywhere. Ben, as CEO, had gone from Euphoria to Terror in six short months. 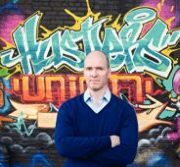 Ben Horowitz frequently describes points in his career where he was in a period of terror, something extremely challenging was happening with the company and the only way forward would be by making hard decisions. Only by embracing the terror, pulling together what information you do have, and then going with your gut will you have a chance of succeeding and getting back to that state of euphoria that comes with smooth operation of the company. Horowitz implies that the clarity needed for optimum decisions comes from those moments of terror. When LoudCloud couldn’t raise further private funding as it quickly ran out of capital without a marketable product at scale, Horowitz found himself living in terror of imminent failure. Against the advice of many of his peers, Ben was able to build a compelling story of why LoudCloud would be a wise IPO investment despite what was happening with other tech companies. Later, as they discovered the market for LoudCloud’s main offering had limited growth potential under their control, the terror returned. This time the terror afforded him the vision to split the company, sell the LoudCloud division and move forward with the OpsWare product that they had spun from the original company. This would shift the company from a cloud solution provider to a software company providing server management at a distance. What they had built at LoudCloud would have to be significantly altered at OpsWare but it was the only path to growth available to them. Terror removes secondary alternatives and input from marginally valuable sources. Terror provides clear focus and clear paths forward for those capable of using terror as a leadership tool. "My old boss Jim Barksdale was fond of saying ‘We take care of the people, the products, and the profit – in that order.’ It’s a simple saying, but it’s deep." Horowitz goes on to explain why you need to take care of the people first and that if you don’t, the products and profits won’t even matter. In other words, unless you have people dedicated to the task at hand, there is no way they will be able to rally around a task at times of crisis and move the product forward. No evolved product, no profits. Taking care of people involves putting the right management in place to lead them, putting the right teammates in place to ensure the required skills are there when needed, putting the right culture in place to encourage top performing teams, putting the right rewards in place so the team feels validated when they succeed. Taking care of the people is one of the most complex jobs any leader takes on. "When asked why he was willing to invest in the company, Herb Allen stated: “I didn’t understand anything about your business and I understood very little about your industry. What I saw was two guys come see me when every other public company CEO and Chairman was hiding under his desk. Not only did you come see me but you were more convinced you would succeed than running giant businesses.”"
Horowitz went to see Herb Allen at a time when they had just sold off LoudCloud. Existing investors didn’t yet understand the value of the change in direction, and as a result the stock had plunged to less than $0.35/share, resulting in a note from NASDAQ that they would be delisted if the share value did not raise above $1/share in very short order. Horowitz knew what he wanted the company to do, but didn’t know how to fund it to get it there. He believed so strongly in his vision that he exuded confidence while speaking with Herb Allen. That is the essence of leadership even when direction isn’t (yet) clear. Believing in your decisions and demonstrating that belief in your actions will convince others to follow you, share your belief and rally around your cause. The Hard Thing About Hard Things is a compelling memoir by a high-tech CEO who has faced the trials and tribulations of running a company during difficult times, but it’s also so much more than that. The book is a series of lessons on how to be a successful leader and build a thriving team and company based on Ben’s experiences. Most importantly Horowitz shows how the hard things can be overcome.